Arthur won’t give up his great love so easily, and hunts for a way to save her, as Josephine fights for survival... somewhere in the vicinity of Mars. 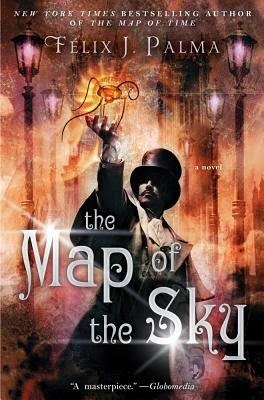 John Carter from Mars meets Jonathan Strange and Mr Norrell in Felix Gilman's boisterous new novel, in which a man of fact finds himself face to face with the stuff of fantasy. The tale takes place in London in the late 1800s: a dark and dirty and dangerous place. Jack the Ripper has finished his grisly business, though the murders attributed to this almost mythical figure remain in recent memory, so when the Great Storm strikes, some see it as the world's way of cleansing the city of its sins. Other individuals, thinking this wishful, seek escape via more mystical means—among them the members of the Ordo V.V. 341, which fashionable fraternity Arthur Shaw attends at the outset of The Revolutions, with the apple of his eye, Josephine Bradman, on his arm. 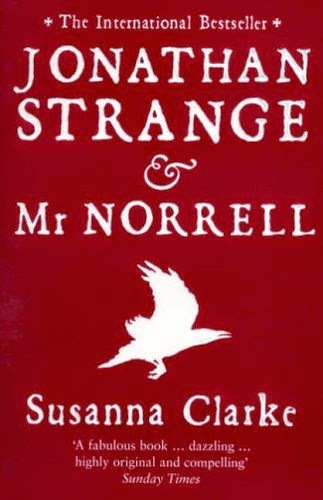 A science writer for The Monthly Mammoth, recently made redundant, he has precious little interest in spiritualism, however it's her bread and butter, as a typist and translator specialising in the supernatural. The couple don't expect much out of the meeting, but there they're introduced to Atwood, the Lord and leader of another order. Seeing something in Josephine, he invites her to join his more serious circle, and offers Arthur an inordinately profitable job that he's not allowed to talk about. Josephine doesn't trust this fellow for a second, and cautions Arthur accordingly, but with a wedding to pay for, they put aside their misgivings for the sake of their relationship. Thus, in the name of love, they are undone. Momentarily, our man is driven mad by Atwood's sinister business, which is wreathed in "secrecy, codes [and] conspiratorial oaths." (p.71) In the depths of her despair, his other half's only option is to ask Atwood to intervene. He will, on one condition... that Josephine joins his order: a secret society dedicated to astral travel. Josephine does what she must to help her husband-to-be, but I'm sorry to say things go wrong right away. As it happens, Atwood was right to suspect her presence would prove powerful. With her in the circle, the travellers go far; farther than they've ever been before. For the first time, in fact, they make it to Mars. The only hitch is that Josephine doesn't make it back. Instead, her spectral self becomes trapped on one of the distant planet's several satellites, where amongst "the rocks and red moss" (p.239) she finds evidence of an alien civilisation crawling with creatures that may be angels... or indeed demons. In the erstwhile, Arthur—freed now from his former employer—sets about finding his fiance, all too aware that "she'd put herself in danger because of his impecunity, his fecklessness, his idleness, all the things that his foster-father had always accused him of." (p.154) If he has a hope of saving Josephine, though, he'll have to put aside his pride and pledge allegiance to the very man who lost the love of his life. 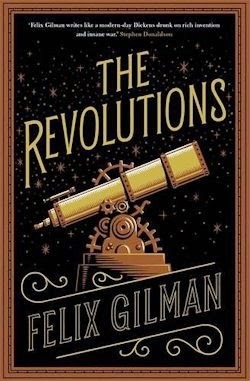 On the basis of its flat first act, you'd be forgiven for thinking The Revolutions mundane and meandering, but this is the calm before the coming storm, because when Felix Gilman gets going, the mind positively boggles. The restrained romance that the book begins with turns tellingly to tragedy, whilst from its mysticism a magnificent mystery emerges. In turn, the text also takes in serious science fiction, a Martian survival narrative, a ghost story of sorts and a truly epic adventure before it's over. All told, The Revolutions is "a hodge-podge of Masonry, Greek myth, Egyptian fantasy, debased Christianity, third-hand Hinduism, and modern and ancient astronomy, promiscuously and nonsensically mixed." (p.167) Incredibly, this slow-cooked stew of symbolism coheres into something singular thanks to two very credible central characters. Arthur is an everyman with obsessive elements—he's always all-consumed by something, be it love, money or magic. Josephine, meanwhile, is markedly more level-headed, however her common sense may be her own worst enemy given the situation she's in. They mightn't be the most convincing couple—fortuitous, then, that they're rarely together—but Gilman renders both Arthur and Josephine deftly independently, developing them by way of complications that change them in wonderful ways. In the interim, their deep-seated desire, nay need to be at one with the other gives readers of The Revolutions a single constant to clutch as the rip-roaring story changes gears frequently. Sadly, the narrative's other characters are less successful. There are many—the other members of the Lord's order, not to mention those that are set against said—but few of the aforementioned are fully-fledged. Even Atwood is done a disservice in the end: when the moment comes for him to reveal his rationale, Gilman as good as gives up. 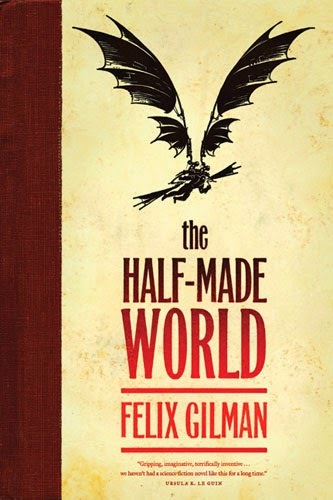 Felix Gilman's fifth novel mightn't be his finest, it follows, but it's certainly his most accessible, and on the sentence level, his language is as lovely as ever. So what if it's somewhat slow to start, when The Revolutions reveals itself to be a rollicking scientific romance reminiscent of Edgar Rice Burroughs' best Barsoom books? Arthur and Josephine's journey is a bit of a throwback, perhaps, but by gum is it fun. The gnostic, weird nature of Gilman's worlds can be hard to get into. So I wonder if going a bit more accessible is a feature, not a bug, here.